Spirulina, it's the forgotten super food. Spirulina was very trendy in the 1990's and somehow it has dropped off the forefront of hot food trends. I am here to bring it back! ....Or at least remind you why it's so great. 1. Spirulina is a blue-green algae. 2. 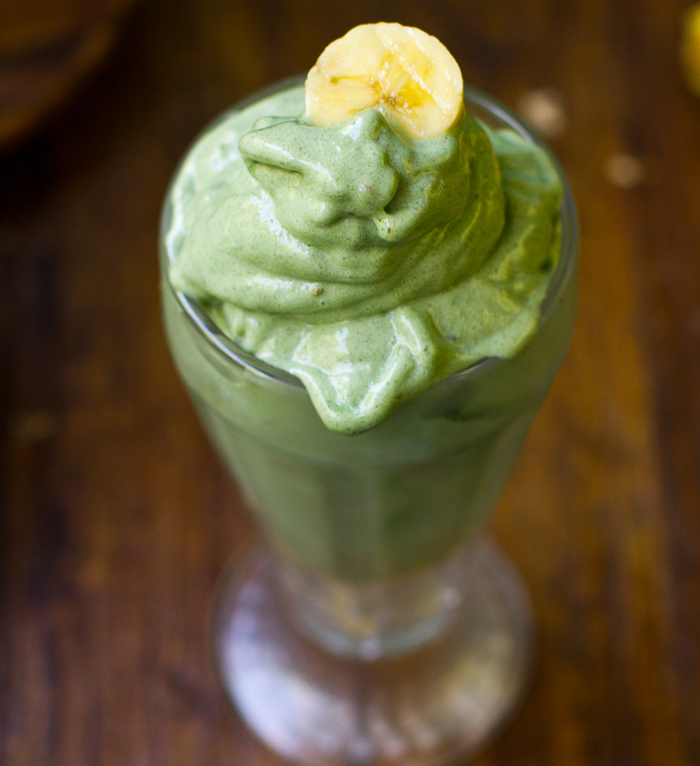 Spirulina can easily be added to smoothies. Though the color impact will be bright green, the taste impact is minor to none. 3. The name spirulina is derived from the Latin word for "helix" or "spiral"; denoting the physical configuration of the organism. 4. Spirulina is called the "food of the future" because of its ability to synthesize high-quality concentrated food more efficiently than any other algae. 5. Spirulina is 65 to 71 percent complete protein, with all essential amino acids in perfect balance. In comparison, beef is only 22 percent protein. 6. The Japanese both produce and consume more spirulina than anyone else. Some researchers claim that Spirulina is useful in helping diabetics control their food cravings and decrease their insulin intake. 7. Spirulina is one of the few plant sources of vitamin B12. B12 is usually only in animal products. Thus, vegans should take note to add spirulina to their diets. 8. 1 tsp. of Spirulina will meet your RDA of B12, and spirulina contains over twice the amount of B12 found in an equivalent serving of liver. 9. Spirulina contains many other nutrients - amino acids, minerals, enzymes and more. 10. Spirulina is not a sea plant! It survives in fresh water ponds. So I hope you will consider giving spirulina a second look. It is indeed an excellent vegan source of vitamin B12. Add it to a blueberry banana smoothie and you won't even taste it! (Don't let the dark green color scare you away. If making a green spirulina smoothie for your kids, call it the 'green monster smoothie' of 'slimy sea monster smoothie' or the 'Tinkerbell smoothie' or 'lucky green smoothie'.